Last year we showed you the innovative Nook Pebble Mattress. Apart from a long list of design innovations, the Pebble Mattress is lovely to look at. Now Nook have released a playmat, bringing pebble-textured style to the floor. 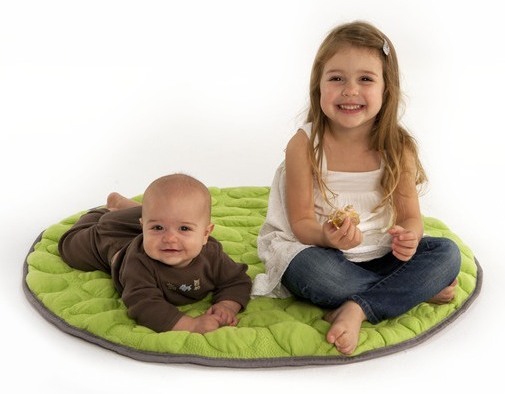 Guarantee comfortable tummy time with Nook’s LilyPad playmat. 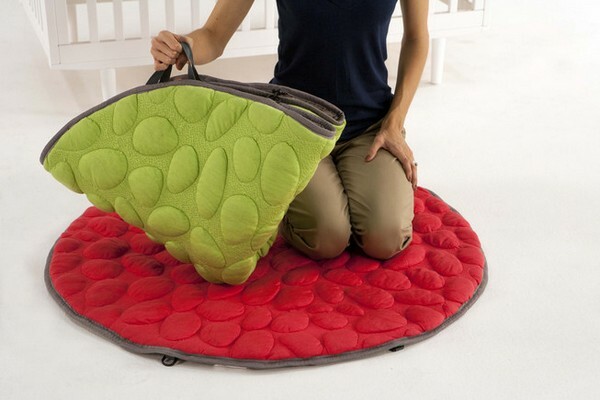 The LilyPad will look great on the lounge room floor but can also be folded up for take-anywhere tummy-time. It’s breathable (the Nook patented asymmetrical surface on the playmat ‘facilitates airflow across and through the playmat’), is padded for comfort and fully machine-washable. Available in three bright colours (orange, lime green and hot pink), the LilyPad is $79.95 and available in Australia exclusively from Mantha & You. Here’s our previous post on the Nook Pebble Mattress.